We're seeing more and more automakers incorporating Android Auto-compatible displays into their vehicles, but you don't need to buy a brand new car to take advantage of Android's car-optimized way of interacting with Google Assistant, maps and music apps. The mobile app can give you the same experience right on your phone, with a Bluetooth FM Transmitter and your choice of car mount completing a seamless setup. If you're not currently using Android Auto in your car, we've got the perfect guide that should work with any phone and any make and model of car. Download and install the Android Auto app on your phone. 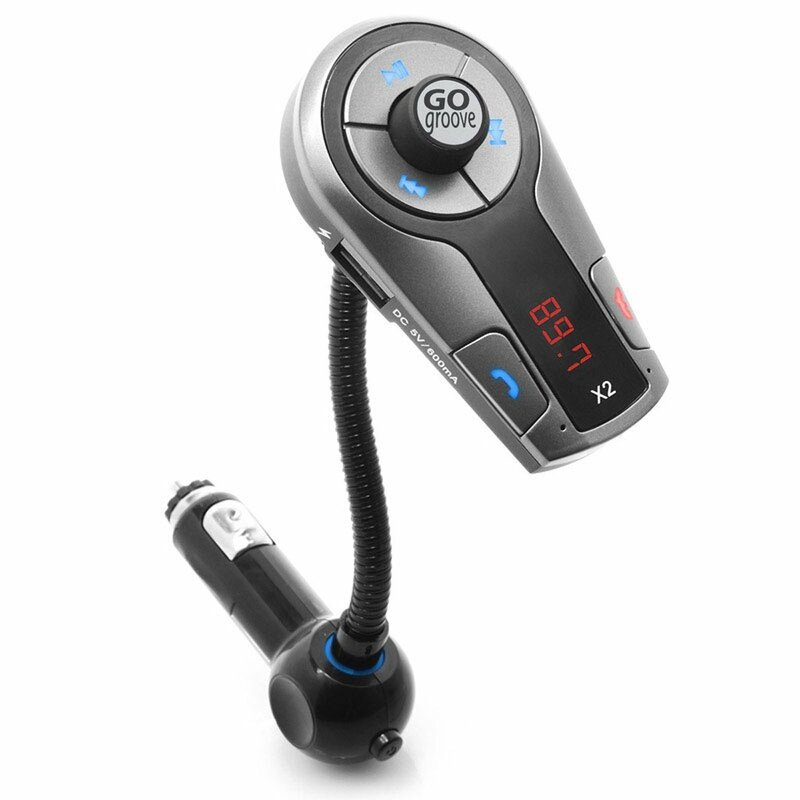 Plug your Bluetooth FM Transmitter in your car and pair with your phone. Launch Android Auto. If it's your first time, you'll want to accept all the permissions that Google asks for and then tap the Menu icon in the top-left corner. Tap Use Bluetooth to ensure Bluetooth is always running when you launch Android Auto. Tap the switch next to Autolaunch to turn it on. Scroll down and find your FM Transmitter and turn it on. With everything all set up, your phone will now automatically launch Android Auto whenever your phone connects to the Bluetooth FM Transmitter in your car, and your phone will automatically turn on Bluetooth whenever you launch the Android Auto app. Android Auto on your phone lets you ask for directions, take phone calls, receive and respond to text messages using text-to-speech technology, and control music or podcasts with Google Assistant, and offers a streamlined interface that delivers the information you need at that moment without any outside distractions from app notifications. At the base level, you need two things to create your own Android Auto experience: a way of mounting your phone to your car's dashboard, and a connection between your phone and your car stereo. Here's what I use. I personally recommend the GOgroove FlexSMART X2 because it seems to fit well in all the cars I've driven in, offers a USB port for keeping my phone charged on the go, and has held up fine left in my car during the harshest Canadian winters. Easy to set up and reliably connects to my phone. The FM Transmitter you get is going to depend on the placement of the 12V outlet in your car. You might be able to get away with a more compact design but the most important part is finding something that works well and doesn't get in the way while you're on the road. It's hard to recommend one car mount that will work with practically any car and phone combination, but the iOttie Easy Touch 4 is about as good as it gets. 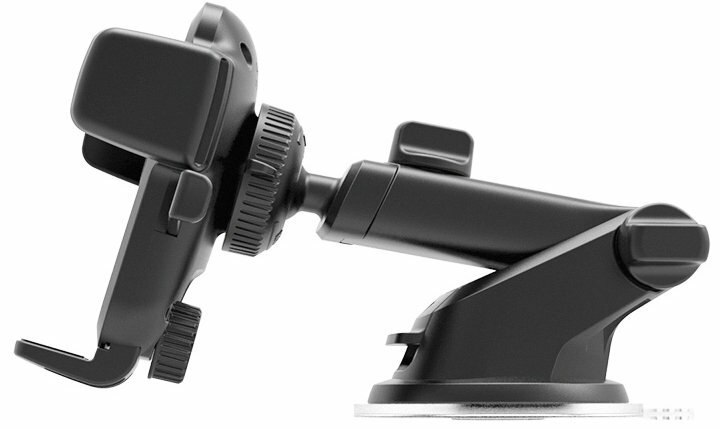 You can mount it to your dashboard or windshield (be sure to check what's legal in your local area) and it's fully adjustable so you can get the perfect angle. iOttie also offers a similar style mount with wireless charging capabilities but it takes up the 12V port we use for the Bluetooth FM transmitter in this guide. If your phone happens to support wireless charging, still has a headphone jack and your car stereo has an AUX-in port, the wireless iOttie mount might actually be your best bet. If you need other recommendations, I've got one listed in our additional equipment section below or check out our rundown of the Best Universal Car Mounts. You're basically set with the car mount and the FM transmitter, but these optional accessories might be worth your consideration, too. Not all charging cables are strong enough to hold up to brutally cold winter weather. This alloy cable from Ventev features a braided wrap that won't break or fray and a velcro strap for managing any excess cable. 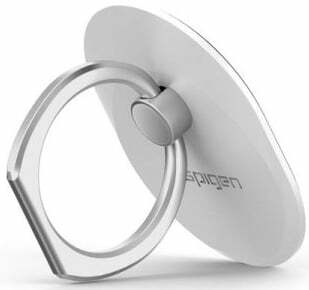 The Spigen Style Ring dash mount is always there for me for times when I'm using a case with a Style Ring on it. It's a minimalist car mount solution that's barely noticeable when not in use and does a better job of mimicking a built-in dash display.